The decorative Comedy Mask is part of a pair that includes the Tragedy Mask its counterpart or counter mask. These two masks are almost always seen together and are symbols for the ancient Greek Muses Thalia and Melpomene. Greek Theatre Masks in their origin are attributed to the Greek God Dionysus. This mask depicts the drunken joy of the harvest in celebration of Dionysus. 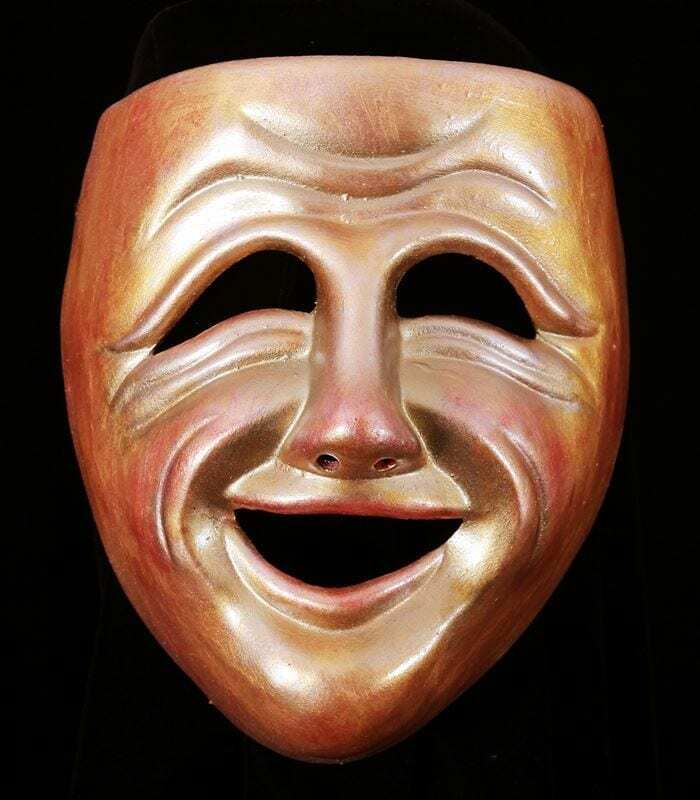 The design of the particular Comedy Mask was inspired by a comedy tragedy mask set inherited from my Grandfather. He acquired them while living in Taiwan. These Greek Theatre masks carved of wood from China have become an inspiration. The comedy mask has a rod in the back making it easy to mount this to a wall. It is a perfect way to decorate a home office of a home theatre.